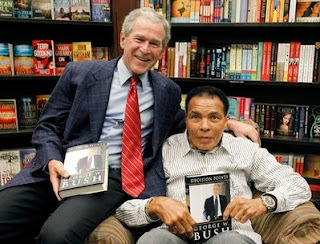 Former President George W. Bush, left, sits with former world boxing champion Muhammad Ali during a book signing for the former president's new book 'Decision Points' at a local Barnes & Noble Booksellers store in in Phoenix Thursday, Dec. 9, 2010. Trailblazer? The guy who grew the size and scope of government at such a rapid rate, he made both LBJ and FDR look like pikers? GWB was the enemy of everything conservatives have traditionally stood for. 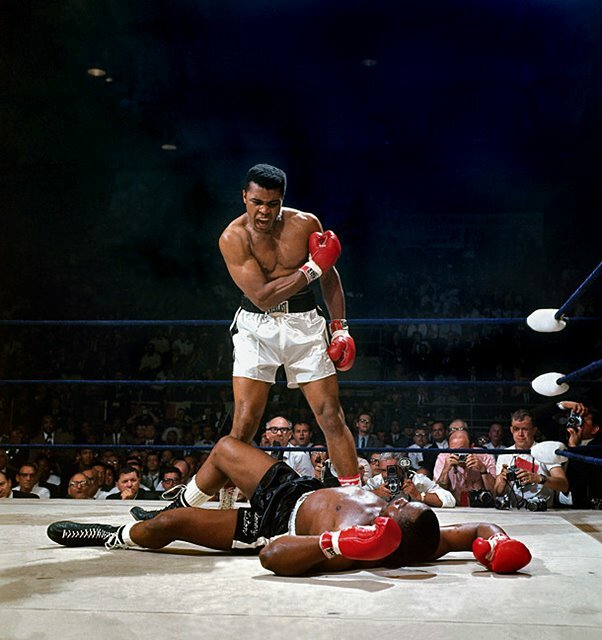 Isn't it about time to call him out for what he is? Excuse me CL, Trailblazer was his Secret Service Code Name. Copy, Link, Comment, Use What You Want From This Blog. If You Make Some Money From It, I Want A Cut. And If You Do Use Something, Let People Know Where You Got It From. FOLLOW ME. Make it easier to read YankeePhil.